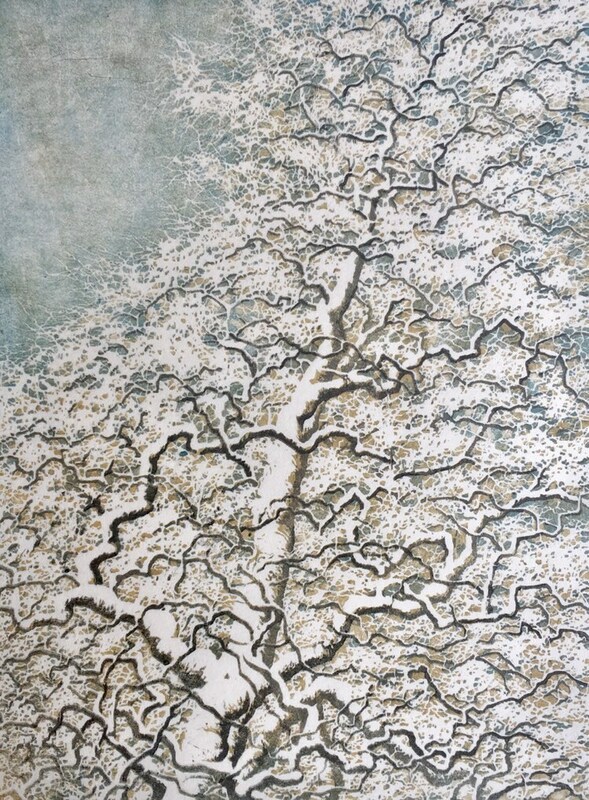 Woodblock Print, Limited Edition Reduction Print Award Winner! 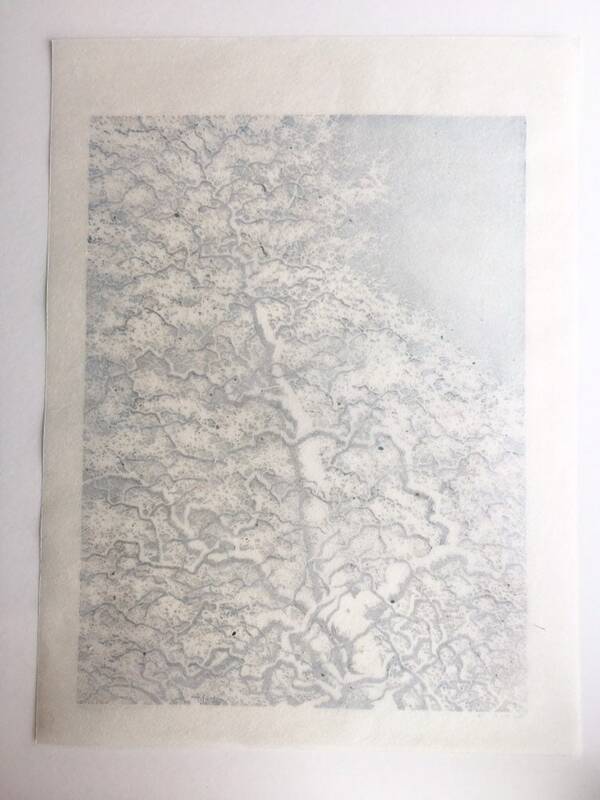 Water-based ink on handmade off-white Japanese Okawara paper, numbered edition of 8. 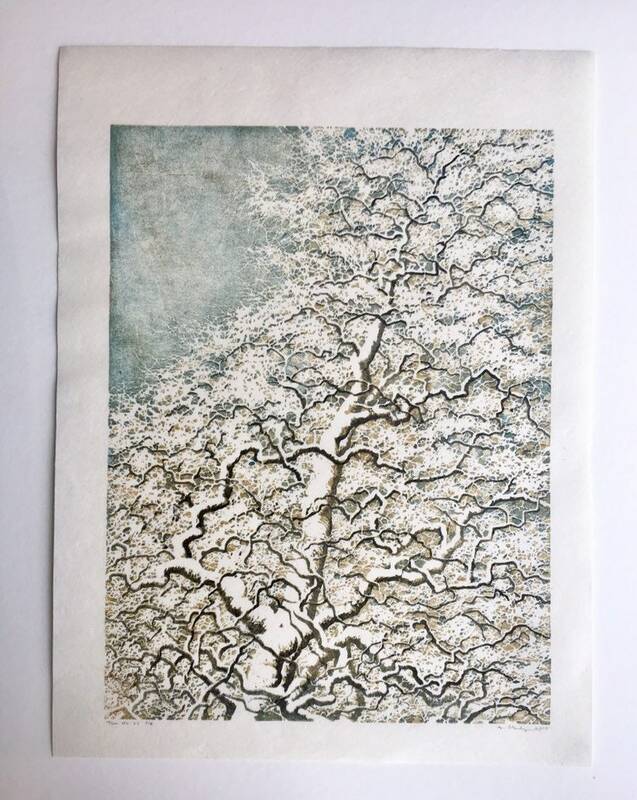 This print was created in the reduction manor, meaning more of the block is carved away between each impression of thinly brushed on ink, leaving only the darkest area on the block once the print is complete. 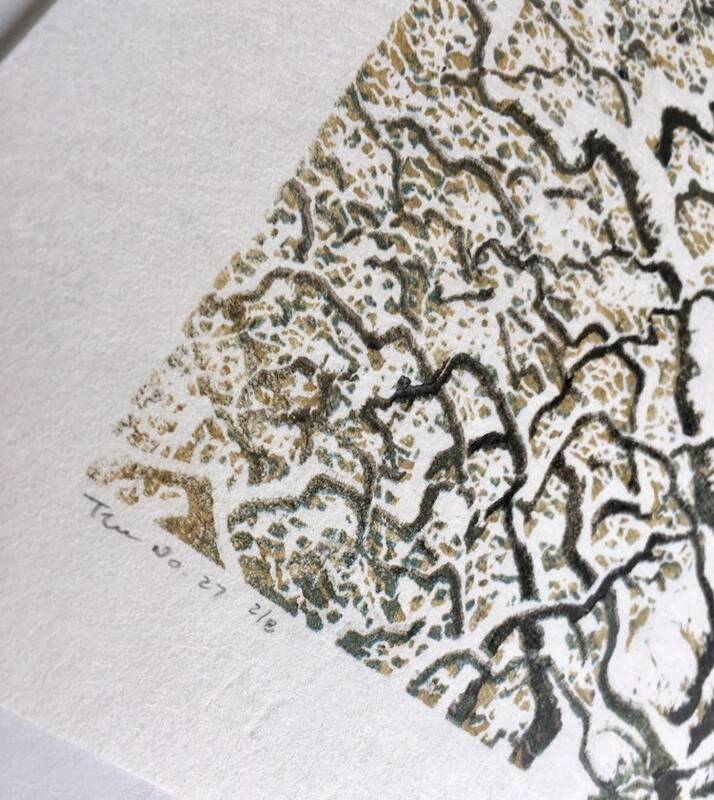 They are truly limited editions, as no more prints can be made from the block. This is Tree No. 26 without the first three of seven reductions. 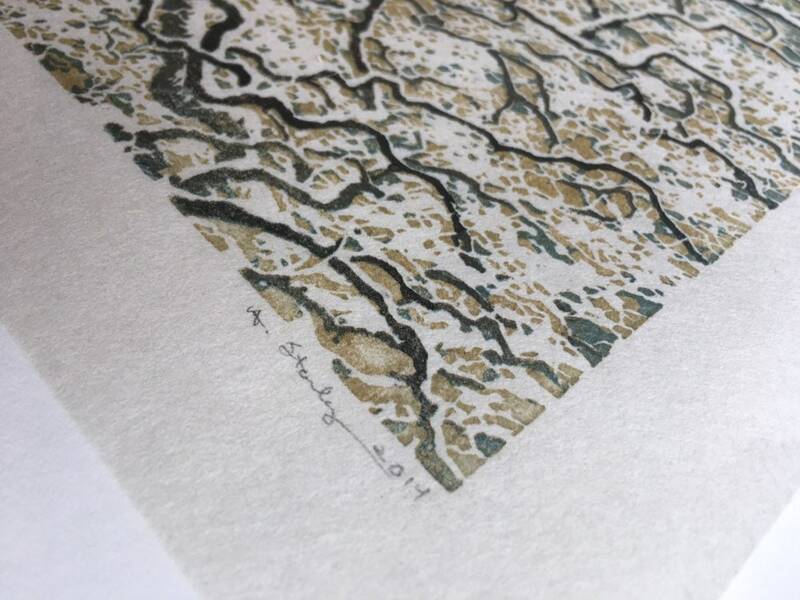 I printed one at this stage and liked it so went ahead and did a small edition of this state. This print won an Honorable Mention at the 2015 Ohio Landscape Competition "The View". Image area is 11.25" x 15" with 1" border surrounding the print for mounting. This print is sized to fit nicely in a 16" x 20" frame. Please see my listing for a mat if you would like me to cut one. There are natural variations in the natural colored paper, as it is handmade. The print will be shipped Priority Mail on board in plastic to prevent damage, with extra insurance included.